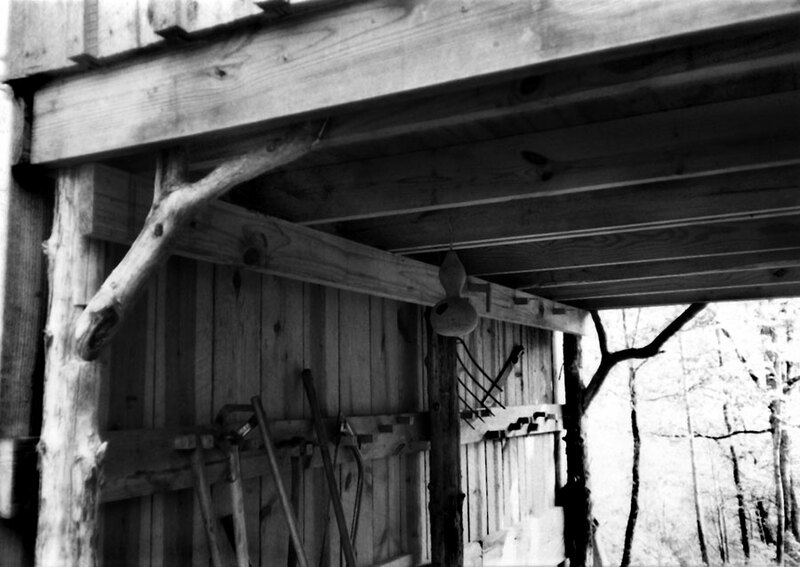 Detail of pole building's joists and cedar poles. 1990, scanned black & white print, 3 x 5 in. (7.62 x 12.7 cm). Ozark Series. © 2008 by Allen C. Benson.